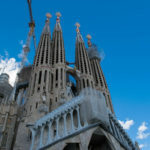 I booked a weekend in Barcelona as a Christmas present for my boyfriend, including tickets to see FC Barcelona playing (the main part of the present!). 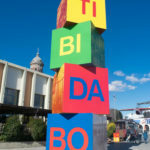 Of course, I always have ulterior (geocaching) motives when I book these things and was excited that Spain would be the 12th country I would cache in and would mean earning my Ruby Travelling Cacher badge on Project-GC. Earthcaches were, as ever, high on my agenda and I managed to fit two in to our busy weekend. They were both amazing urban ECs that I recommend to anyone visiting Barcelona. 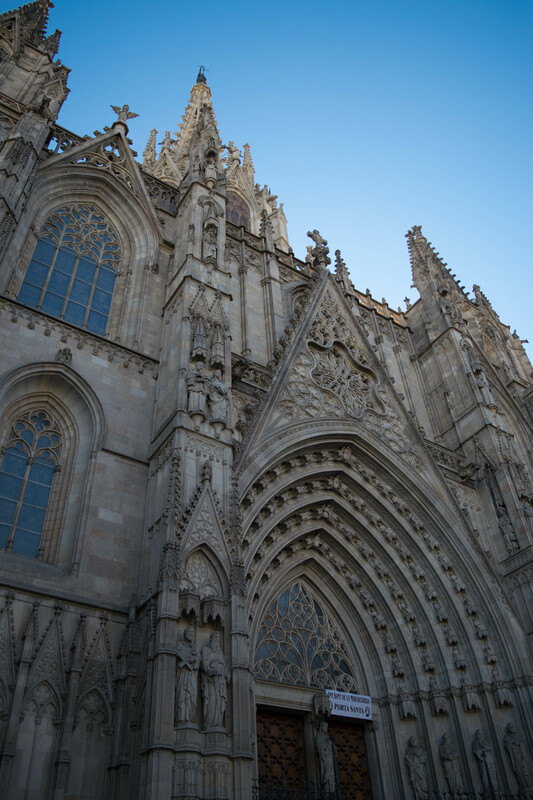 The first EC was in the Gothic Quarter where we spent at least 2 hours walking around. 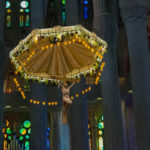 The Festival of Santa Eulalia was being celebrated and there was a parade as well as a stage set up in front of the cathedral with musicians and local people performing traditional Spanish dance. 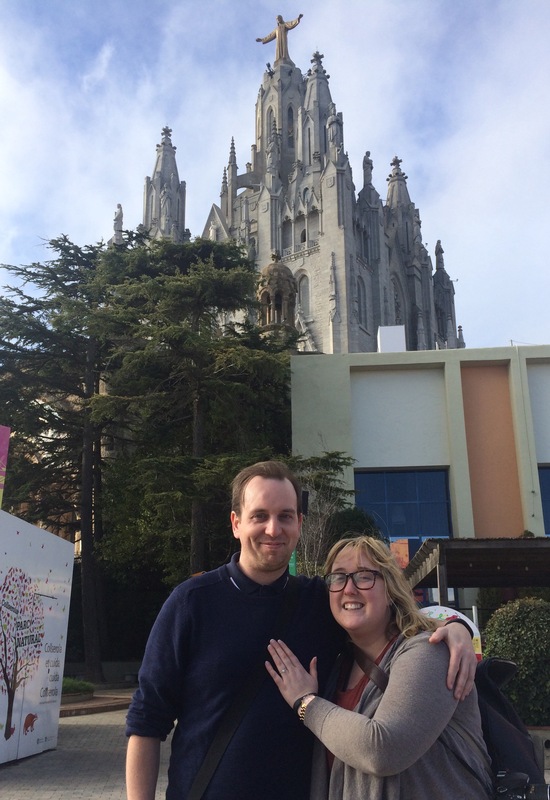 It was an amazing scene against the fabulous backdrop of the gothic cathedral. The cathedral itself was spectacular and we managed to look for the answers to the nice EC as we walked around outside, craning our necks to take in all the details of the many gargoyles on every side. 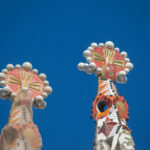 You could easily spend an hour walking around the exterior of this magnificent work in progress and still not fully appreciate all the minute details that Gaudi planned. We bought our tickets to go inside and had to wait 45 minutes for our time slot, so we took the opportunity to look for the traditional cache Sagrada Familia (GC52N0E) by traginer. 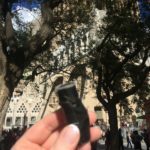 Although the cache is in arguably one of the most tourist heavy spots in the city, we still managed to retrieve and replace the cache unseen by muggles. My first logbook signed in Spain! 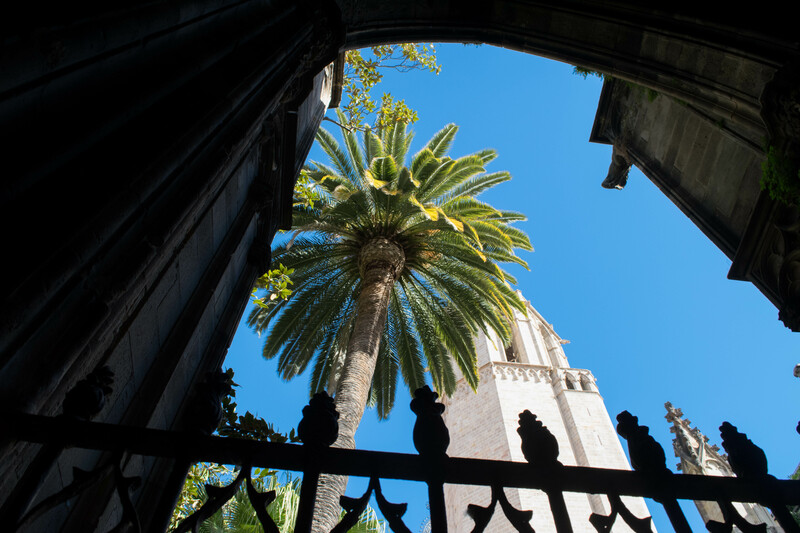 You cannot miss a visit inside the cathedral! 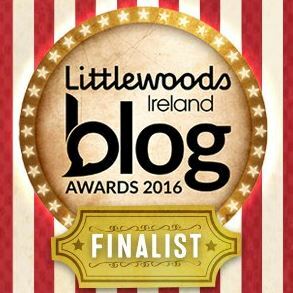 It is well worth the €18 entrance fee (slightly cheaper if you buy online!). The interior is awe-inspiring. The attention to detail and the unmistakable style of Gaudi will have you walking around gazing up at the ceilings with your jaw dropped. The EC was very interesting and a bit challenging but I thankfully received the green light from the CO. Definitely a must-do cache! 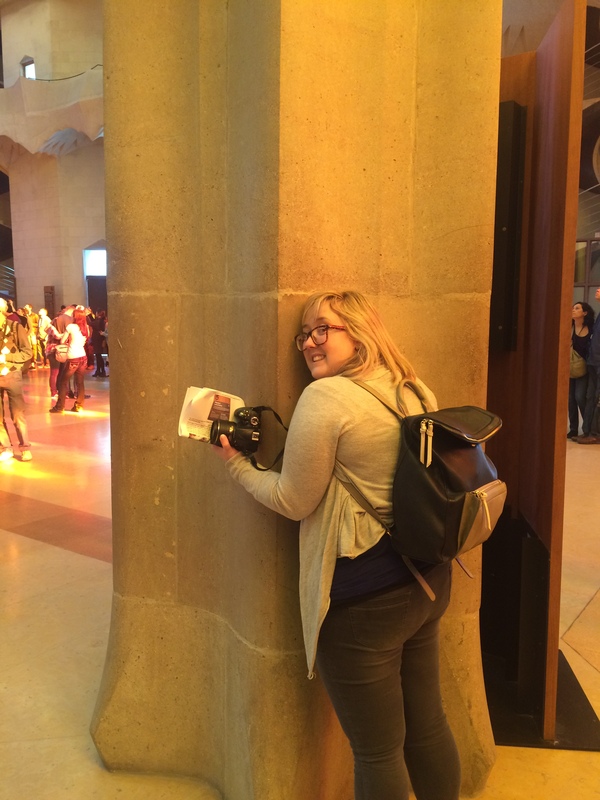 There was an optional additional logging requirement to upload a photo of yourself hugging one of the columns so naturally I obliged! 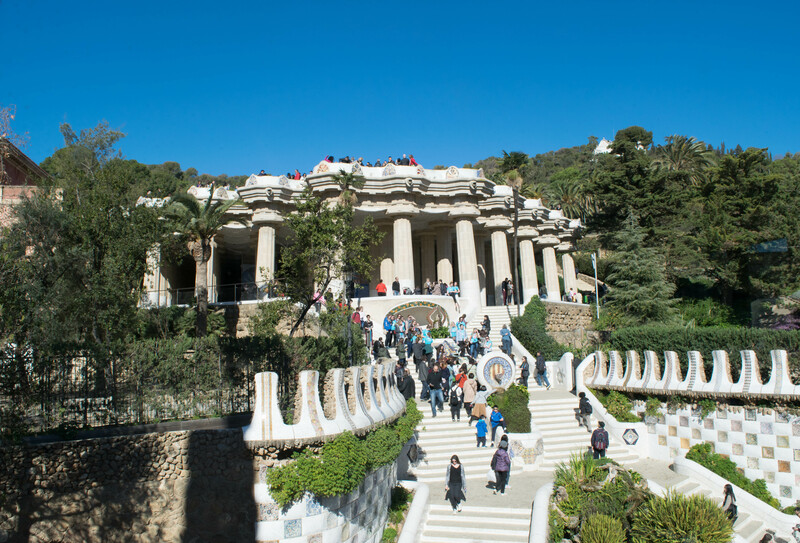 We managed to find four caches in Park Güell (only one of which was located in the monument park, where you have to pay an entrance fee). 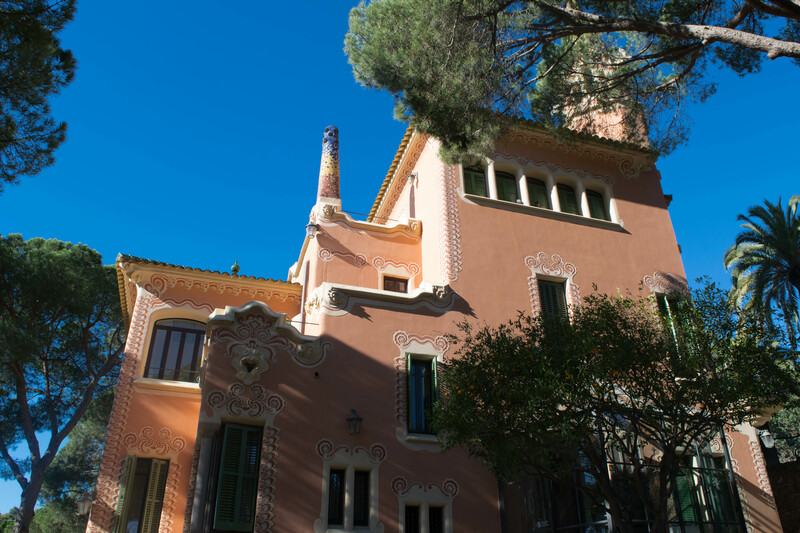 The first find was Gaudi House Museum (GC3YDTE) by ThatsAllFolks, jimmybcn and Topeich, where I knew the location of the cache but had trouble figuring out a route to it. In the end, the boyfriend did the honours amidst strange looks from passing muggles as he jumped over a wall! 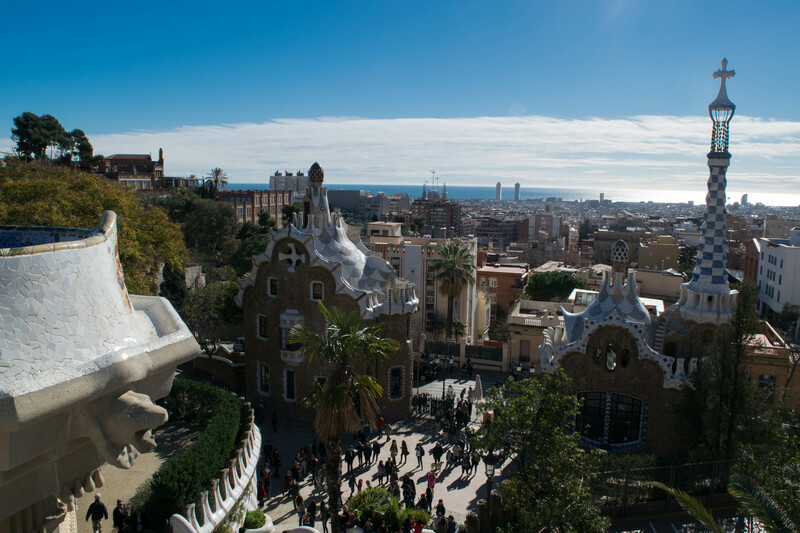 After that we found Park Güell: Sala Hipostila (GC24HBM) by escipion, located in the monument park and quite overlooked by muggles but the cache was in and out quick enough. 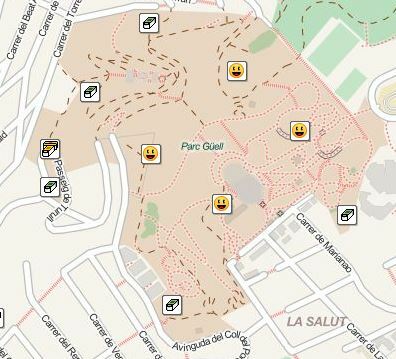 Next up was Parque Güell (GC3YA5D) by ThatsAllFolks, jimmybcn and Topeich, which was nicely tucked away in a hidden corner of the park. The best of the four caches was VIPER! (GC45TKR) by jimmybcn. Going by the name, you can probably guess what the cache container was – it was nice to find something different. The only problem was I couldn’t find it. There were so many possible places to look. 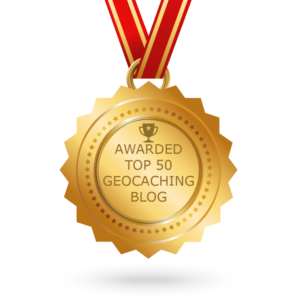 Luckily, we were soon joined by a geocacher from Poland and her son, and they soon found it! 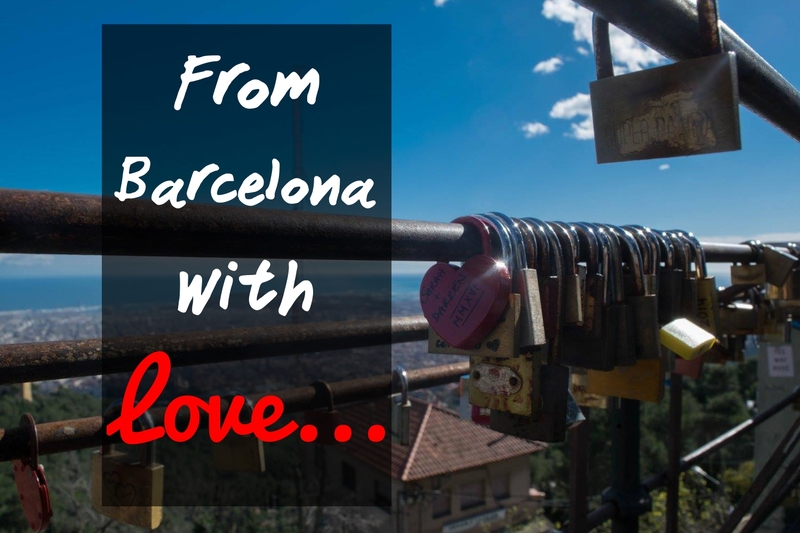 After Park Güell, we took the Tramvia Blau and the funicular railway to Tibidabo where I had one particular cache in mind: The Lock-book ~ From Barcelona with love… (GC5DRYZ) by Chaman Calle. 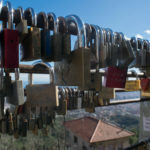 I’m sure you’ve heard of love lock locations, and this one seemed like a great location to leave a lock on Valentine’s Day! 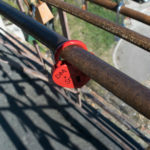 I bought the red heart-shaped lock at home in Ireland and we wrote our names and the year in Roman numerals on one side, with our initials and the date on the other. There was a few muggles milling around but nobody paid any attention to us or our little lock. 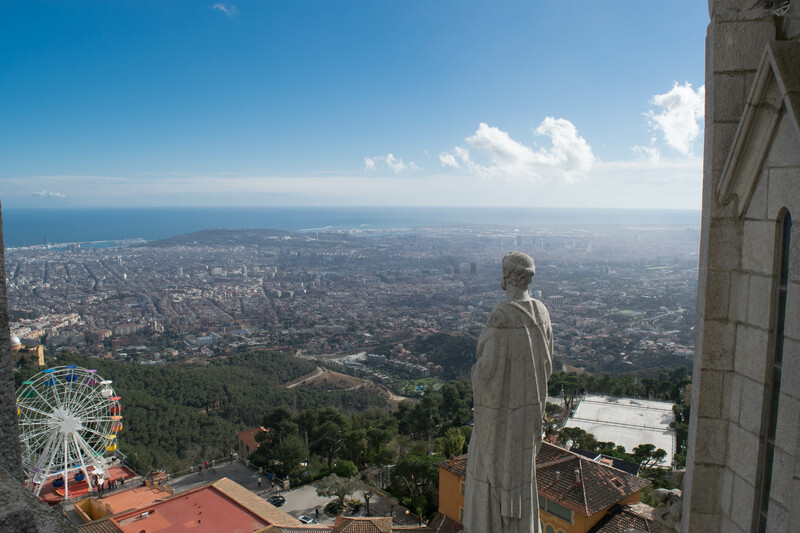 The views from Tibidabo were amazing but there was an option to go even higher so we paid the €3 each to take the elevator to the viewing platform of the Sagrat Cor church, where we then walked the winding staircases to reach the very top – 548 metres above sea level! I’m usually ok with heights but this was dizzying even for me, so we went back to the next level down to really enjoy the panoramic views. Little did I know, that my boyfriend had other plans to make the day even more unforgettable. As I was taking in the view, he handed me a geocache – a fake rock with a logsheet in it with a special message. When I looked up he was holding a diamond ring in front of me and asking me an important question. And of course, I said yes! 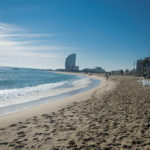 On our last morning, we visited Barcelonetta beach and watched the surfers while enjoying the sand in between our toes. There was just time for one more cache before heading to the airport: Gran Hermano (desde mi ventana) (GC345NZ) by Hopehope. 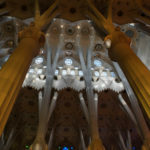 A very memorable weekend in more ways than one and still plenty of caches to find on a return visit, which I’m sure we will do as Barcelona will always have a unique meaning for us. 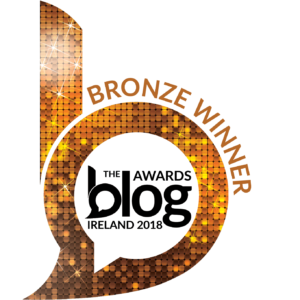 Great blog, great news (ring). 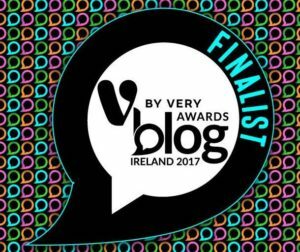 Many congratulations. What a lovely boyfriend – now fiancé . What a great story! 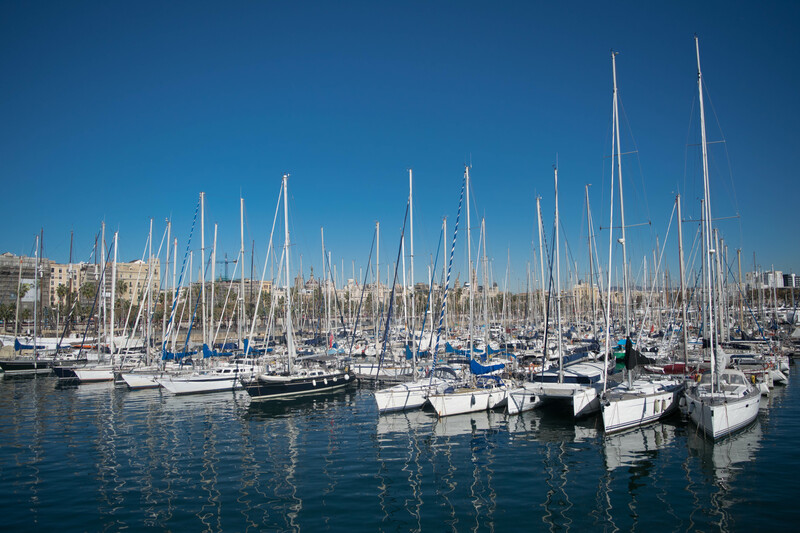 I visited Barcelona when I lived in Spain as a student and it’s an amazing city, how lovely that it is even more special to you both.